Every day there seem to be lots of security breaches reported where our data is at danger. Despite the fact that SSH is a secure way to establish a connection remotely to a Linux system, but still, an unknown user can gain access to your Linux machine if they steal your SSH keys, even if you disable passwords or only allow SSH connections over public and private keys. In this article, we will explain how to set up two-factor authentication (2FA) for SSH on Fedora Linux distribution using Google Authenticator to access a remote Linux system in a more secure way by providing a TOTP (The Time-based One-time Password) number generated randomly by an authenticator application on a mobile device. Note that, you can use any two-way authentication application for your mobile device that is compatible with the TOTP algorithm. 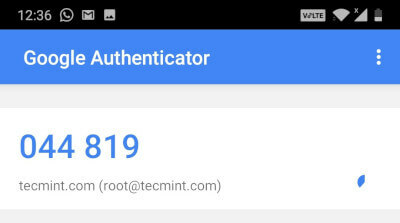 There are numerous free apps available for Android or IOS that supports TOTP and Google Authenticator, but this article uses Google Authenticator as an example. 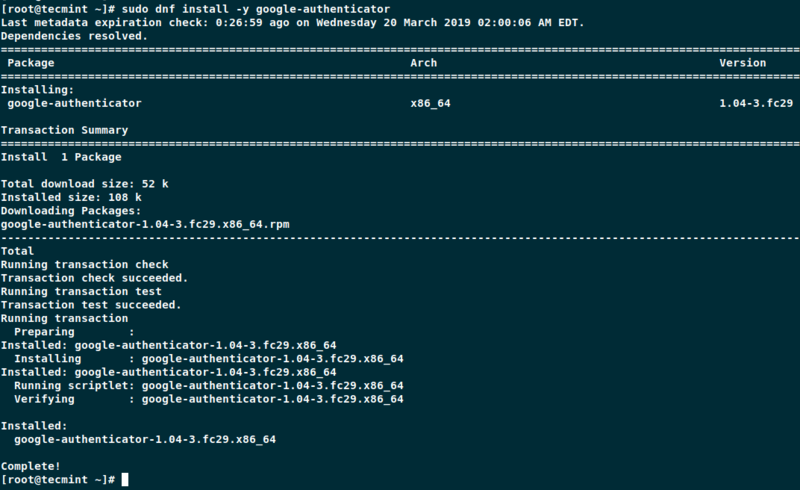 First, install the Google Authenticator application on your Fedora server using following dnf command. Once Google Authenticator installed, you can now run the application. The application prompts you with a number of questions. The following snippets show you how to answer for a reasonably secure setup. The application provides you with a secret key, verification code, and recovery codes. Keep these keys in a secure safe location, as these keys are the only way to access your server if you lose your mobile device. On your Mobile phone, go to app store Google Play or iTunes and search for Google Authenticator and install the application. 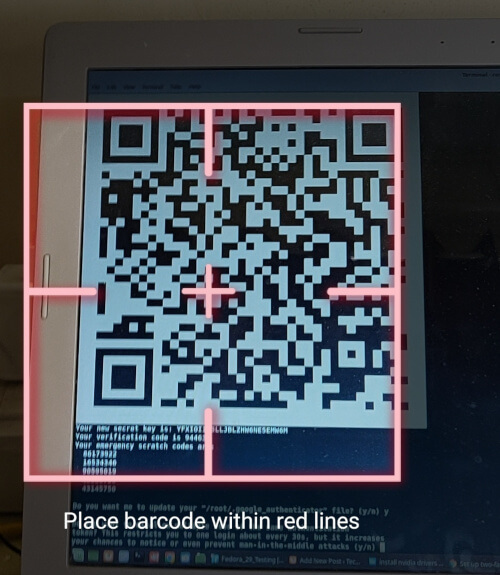 Now open Google Authenticator application on your mobile phone and scan the QR code displayed on the Fedora terminal screen. 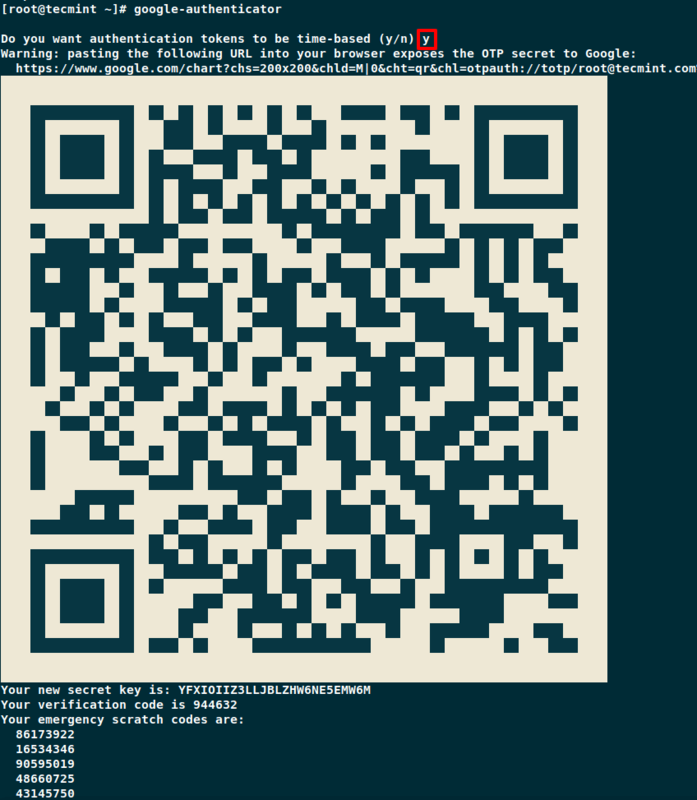 Once the QR code scan is complete, you will get a randomly generated number by the authenticator application and use this number every time you connect to your Fedora server remotely. 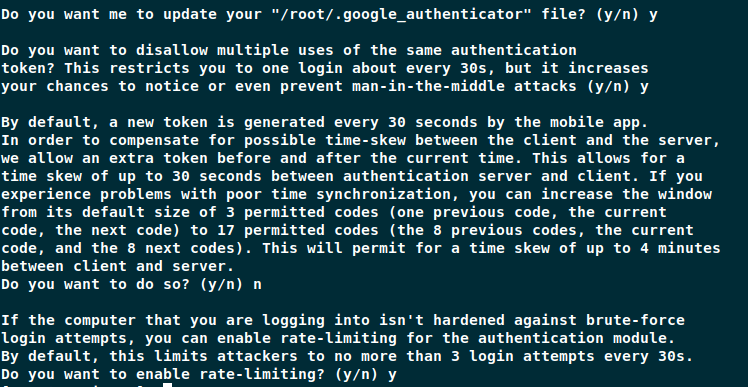 The Google Authenticator application prompts further questions and the following example shows how to answer them to setup secure configuration. Now you need to configure SSH to use the new two-way authentication as explained below. To configure SSH to use authenticator application, first you need to have a working SSH connection using public SSH keys, as we will be disabling password connections. Open /etc/pam.d/sshd file on your server. Comment out the auth substack password-auth line in the file. Next, place the following line to the end of the file. Next, open and edit the /etc/ssh/sshd_config file. Search for the ChallengeResponseAuthentication line and change it to yes. Search for the PasswordAuthentication line and change it to no. Save and close the file, and then restart SSH. Now try to connect to your server remotely, it will ask you to enter a verification code. The verification code is generated randomly on your mobile phone by your authenticator application. Since generated code changes every few seconds, you need to enter it quickly before it creates a new one. If you enter the wrong verification code, you will not able to connect to the system, and you will get a following permission denied error. By implementing this easy two-way authentication, you have added an extra layer of security to your system and as well as this makes more difficult for an unknown user to gain access to your server.